Welcome to the CTTA image gallery collections! We’re proud to show you and share with you the model toy trains we own and run as a club, and those that members operate on our own layouts. 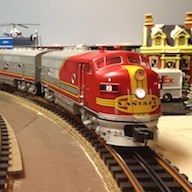 Check out some of special collections, pictures of real trains in action and spotted by members around the world, and some of the other O gauge items we like to put on our layouts to complement the model trains. Got something to share? Please let us know! Our CTTA ‘mainland layout’ is comprised of 16 modules. 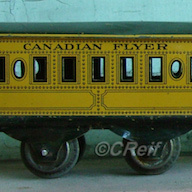 It is transported in a custom built and decorated Caboose style trailer. The original layout has been expanded, and when fully assembled, now measures 28′ x 20′(560 sq ft). The CTTA ‘Island Group’ maintains two layouts. The primary ‘big boys’ layout is a triple-loop dog-bone configuration, measuring approximately 24′ long and 8′ wide at the ends. The second layout is designed with the younger operators in mind, with a track plan and running configuration that is true to the original traditions of 3-rail O-gauge trains. With an emphasis on letting the trains run with a foolproof track plan and lots of play value, the ‘kids’ layout features two loops of track on a 4′ x 8′ base. Click the header link to learn more about our Club layouts. 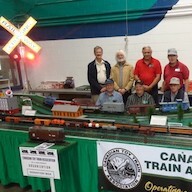 The main club layout travels to train shows several times a year, and provides the opportunity for the CTTA to share our love of the hobby with others. 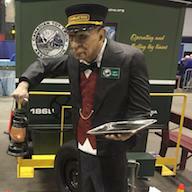 CTTA members are welcome to bring their personal trains to run as well! Check out the layout here. 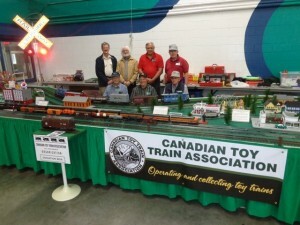 The ‘Island Group’ layouts also travel to various events and train shows across Vancouver Island, usually appearing in Victoria and Nanaimo. Check out their larger layout for the grown ups, but also the one specially made for kids to enjoy O gauge trains.